First up, join Maura Bradley, Certified Mindfulness Instructor, for an Introduction to Mindfulness for Kids. This 6 week course, geared toward little bees ages 8 and up, kicks off on April 29th and runs through Monday, June 10th. 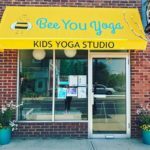 The Bee You Yoga BeeMindful Program is based on the Mindful Schools research-based curriculum, which has been shared with more than 200,000 children and adolescents in 48 states and 43 countries. It offers simple, effective mindfulness practices that can be integrated into the everyday and adapted for diverse environments. What is mindfulness? Mindfulness is a practice of present-time awareness of our thoughts, feelings, bodily sensations, and one’s surrounding environment. For more information, please contact Maura Bradley at beeyouyoga@gmail.com. Second, make sure to BOOK yourself for the April 27th Spring Forward Wellness Retreat with our own Bridget Riepl! 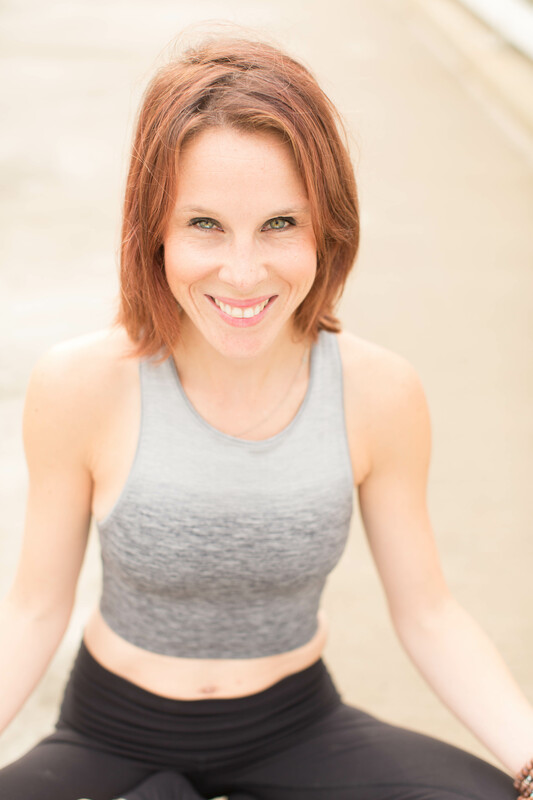 Bridget is teaming up with Nourished Retreats for a full day immersion into wellness workshops, fun demos, connection with an incredible, inclusive community, and learning from experts who are ready to share the goods! We’ve told you about this SO many times, but we can’t stop (and won’t stop) until every single NJ yogi is signed up and ready to roll out their mat with us. VibeWell HONORS brings together the very best yoga instructors, wellness experts, and thought leaders for one inspiring day of practice, community, connectedness, gratitude, and GIVING. By coming together, we are affecting positive change in our community and ultimately in the world around us. How? Simple. All proceeds from the festival will be donated to the Honor Yoga Foundation, a 501c3 non-profit that provides yoga-related programs to at-risk and underserved communities. We feel like we need to give you the schedule so you TOTALLY get how amazing this day will be. UNBELIEVABLE YOGA! It will be the greatest day…and we want you there!! Alright, now onto the EVENTS for this week. Meditate with us and paint beautiful Mandalas to take back with you. This class is for beginners in meditation and beginners in painting. We would love for you to join us and create wellness. You’ll be guided in meditation by an expert and guided in painting mandalas (or anything that is meaningful to you) Kids above 8 yrs welcome to join with a parent who is also participating. 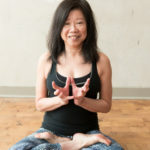 Wind down the week with a slow flow focused on releasing tension in the hips, the area of the body said to be the ‘seat of our emotions.’ Whether you’re in need of letting go physically, mentally, or both, this class is great for both beginners and seasoned yogis in need of a good stretch. Join Mary and Donna as they create a deep renewal. Begin preparing your entire being for Spring – the season of rejuvenation and growth … unraveling the layers of winter slowness… taking this time to open up the body and transform… Our practice will begin with gentle movement to welcome soft openings and mind/body awareness before moving into the relaxing and renewing restorative poses to welcome Spring. The Crystal Singing Bowls will be played during a long, soothing shavasana, allowing the effects of your practice to embrace you. Low back pain has struck many of us at some point, and can easily become a chronic issue without proper care. Thanks to long hours of sitting, driving, poor posture, repetitive motion, or the result of injury, stiffness and pain of the back body has become an epidemic.But hope is not lost! Learn how to unlock your back, free your hamstrings, and stand tall knowing several self-care techniques and yoga postures to relieve minor low back pain. We’ve got your back! 10 minute session with beautiful floral installation + 10 digital images to download + printing release! Do you find yourself longing for more time to work towards the peak pose of a class? This workshop allows for a better understanding of the shoulders, hips, and hamstrings and the specific exercises that help to open them more deeply. This is not a typical class sequence, we will stop and start to explore each exercise and its variations, while we use the wall and other props to keep us supported. Journey into the woods where we will disconnect to reconnect; leaving behind the hustle of our daily routine to connect to nature and feed our spirit with a higher vibration!